South Park doesn’t exactly have a great history with video games. Thankfully, after nearly two decades of hella lameness, the series finally found its footing with 2014’s South Park: The Stick of Truth and its upcoming follow-up, The Fractured But Whole. In a recent interview with IGN, series co-creator Matt Stone talked about the role-playing genre being a great fit for South Park. I love the way we do The Fractured But Whole and Stick of Truth, where the whole conceit behind those is it looks just like the show. RPGs just play so well into the writing, and applying to characters. It’s the best possible thing [for the series]. I would love to make a first-person shooter. I’m not even kidding. Some sort of first-person [game], going through a 3D thing where you’re seeing the characters. Some part of me would just love to run around in South Park. I’m like a first-person video gamer. I just like that. 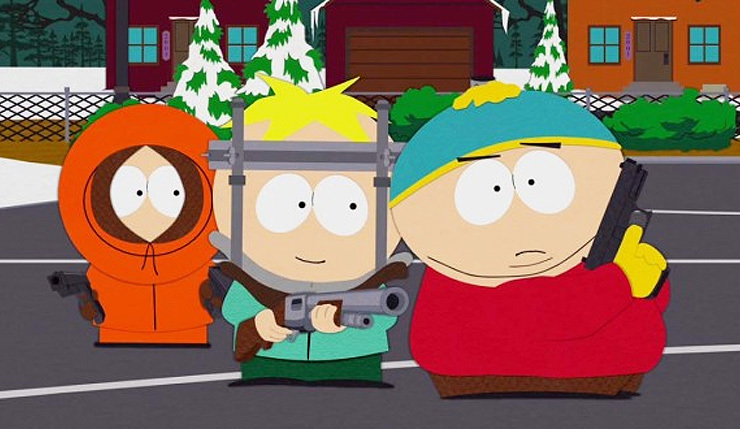 Of course, South Park has had a previous run-in with the first-person shooter. The very first game based on the franchise, released in 1998, was an FPS and a pretty terrible one. Sure, some of you who grew up with an N64 may have some misguided nostalgia for the game, but it has not aged well. But hey, the original game was the product of a different time! Any new FPS would most likely be directly overseen by Matt Stone and Trey Parker, and definitely wouldn’t be handled by the now-dead Acclaim. I’d certainly be willing to give it a chance, as long as it was made by competent developers. South Park: The Fractured But Whole hits PC, Xbox One, and PS4 on October 17.